Let’s split the equity equally. ‍That way it’s “fair,” and we’re equal partners. Whether because of avoidance, too much optimism, or lack of knowledge, founder teams that split their equity by default were also found, per Wasserman’s research, to have triple levels of unhappiness within their teams. Which begs the question why? It all comes down to fairness. If I am working 60 hours a week, but my co-founder is only putting in 40 hours, I deserve more. For founders, the equity split also helps determine decision-making power. An even split means that the founders will need consensus. If questions pop up around the fairness of the equity split, and the founders are unable to resolve these issues, impasses and the inability to move forward can negatively impact the company. Resentments build, frustrations rise, and the team becomes dysfunctional. That’s why how you decide equity early-on will have a lasting impact on the co-founder dynamic and the company. Increase the startup’s chances of success by taking these questions into account when having your equity allocation conversation. Who has experience running a business? Building a startup is difficult work, and any prior experience fundraising, connections to investors, creating an MVP, or scaling a product are invaluable assets that increase the startup’s chances of success. For most first-time founders this is a tough sell. The other non-business or non-technical founders will see this as unfair and the idea person, if not the person with prior business experience, will believe that the idea is worth more. The idea is only part of the equation; being able to execute on it is much more critical. Take for example Myspace and Facebook. These two similar social networking sites each executed their ideas differently. Facebook accomplished it better, building a series of features that kept it dominant in the social media space, whereas Myspace didn’t and faded into obscurity. For that reason making sure the startup has the resources and capital to grow, and execute on the idea, is ultimately why the business founder should be allocated more equity. Remember, if a startup fails because the business didn’t grow and execute, 50% of nothing is zero. What value is everyone bringing to the table? ‍What is everyone bringing to the table? How will everyone contribute to the startup’s success? What skills are more valuable than others? However the conversation goes, these questions help determine what cash and non-cash contributions each founder is bringing to the startup. Depending on the founder team, each of these contributions will have a different weight. 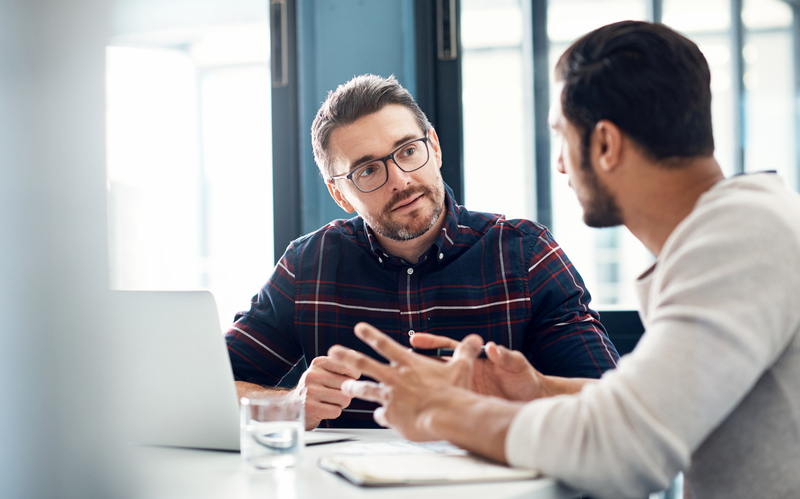 Pro Tip: Issue convertible debt or a series seed preferred stock for any initial capital contributions, treating it the same way you would a seed investor. The value of each of these contributions will determine the level of commitment you need from each founder. Is everyone in it for the long-haul? ‍Will we all work on this full-time or is this a side gig? Enthusiasm will be high when you first start. Everyone will be fired up to want to work. However, over time this can change. Funding isn’t coming in. The MVP is taking longer to build. Resources are starting to running dry. A founder has taken sweat equity instead of a salary. He doesn’t have a stable source of income, and after about a year and a half, the startup still isn’t bringing in any stable revenue. The founder is getting discouraged. 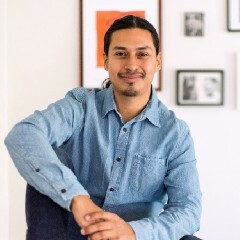 There’s hope in a seed financing round, but he thinks that the stakes are too high and may be time for him to leave. He wants to retain his equity. What would you do? This situation is pretty standard, which is why it is essential to be upfront about commitment (and be clear as to what happens when someone leaves). Pro tip: Whatever distribution you decide upon, make sure the founder’s shares vest over a period of time (usually four years) and include clear guidelines within the partnership agreement for what happens to a founder’s share should they quit, are forced out, or leave voluntarily. It just doesn’t make sense to give a bigger share to a founder who is only half committed, will leave after a year or two, or has a lower level of risk. Get clear on each founder’s commitment level, make sure their equity shares vest over time, and how everyone will deliver on their commitment. Known as the Founder’s Pie Calculator, this is one method for quantifying the various elements that go into the decision-making process of dividing equity that was created by Frank Demmler. This formula incorporates all of the considerations regarding business acumen, value, and commitment into five distinct categories that the founders then have to adapt to their situation. It causes everyone to have a negotiation upfront as to how they value each. By having this type of conversation in the beginning, everyone has the opportunity to “test” the founder relationship and see if you all can come out equally satisfied at the end. Demmler also cautions that each element may have a different weight apportioned to it (a number from 1 to 10) depending on the industry that the startup is operating in. For example, the idea component may be given more weight should the company be based upon new technology or the business component should the startup need considerable capital to launch the idea. The below charts create the structure for having these conversations. The technologist who is the inventor’s right hand man. Seen in the chart below, the team collaborates and decides that the weight of the Idea will be seven, the Business Plan two, Domain Expertise five, Commitment & Risk seven, and Responsibilities six. The founders must also indicate how each element applies to them from 1 to 10. In this case, Founder 1 would have 33%, Founder 2 44.2%, Founder 3 16.5% and Founder 4 6.2% of the company. Way different than a traditional even split, which is what most founder teams decide upon. The process takes time, may be uncomfortable, but will give a founder team security that their equity split is fair. . However, while the tool is a great resource guide for creating structure to the equity conversation, it may leave some individuals feeling devalued. In this example Founder 4 comes out with the least amount of equity and may not leave the equity allocation conversation happy. So how do you make sure everyone is happy with the end result? Fairness also means that everyone should leave the equity conversation valued. Truth be told, you’ll spend more time with the founder team than even your spouse, so there’s an added interest in making sure everyone is happy with the end result. This is a relationship you’ll want to start with where everyone feels valued. A lot of the equity conversation comes down to “control” of the business. Will everyone get an equal say? How will decisions be made amongst us? Will your get the resources you need to execute on your ideas? As part of the work I do as a mediator for equity restructuring conversations, a lot of the final pushes toward a solution comes down to everyone feeling equally valued (even if the equity redistribution isn’t equal). There are more than one way to make someone feel valued beyond equity. 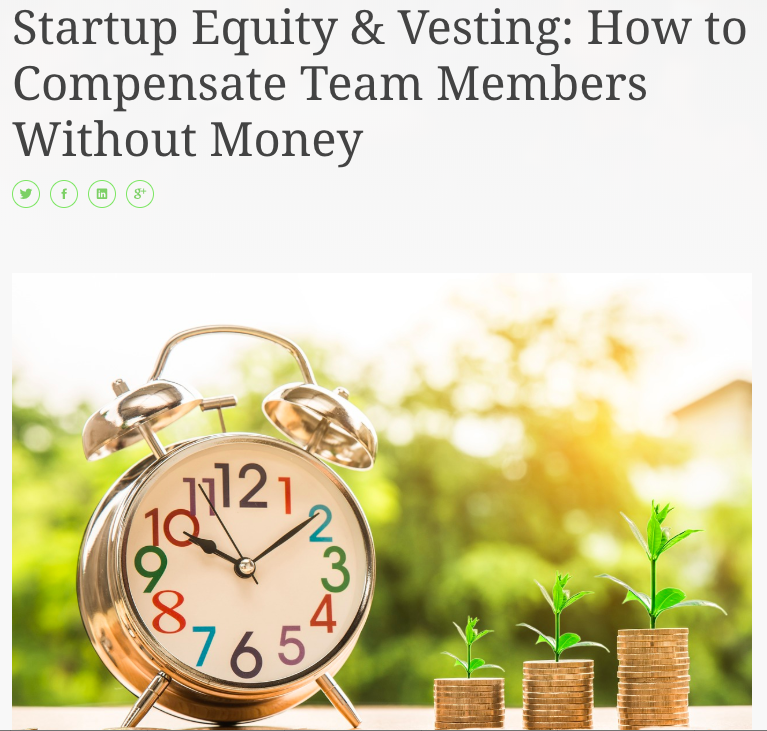 Pro Tip: read this article Startup Equity & Vesting: How to Compensate Team Members without Money to get a better idea about this. Give everyone an equal ability to contribute, making sure that the final equity decision you come up with makes everyone feel valued for what they are bringing to the table. Even if that means you have to give up a percentage point or two to get everyone there. Having the actual equity conversation can be hard. It has the potential of triggering a lot of hard and difficult emotions, especially when you’re relying on everyone to discuss their potential, what they feel they are worth, and matching that to an actual equity share. For that reason take your time with the process. I recommend founders complete this worksheet, 20 Questions to Ask a Potential Co-Founder, prior to having an equity conversation to see if everyone is truly aligned. As you test out potential co-founder relationships, remember that not everyone will be the right fit even if they look good on paper. Do a small project together to get a feel for them personally or wait to allocate equity until after you’ve accomplished something. Alignment is key. 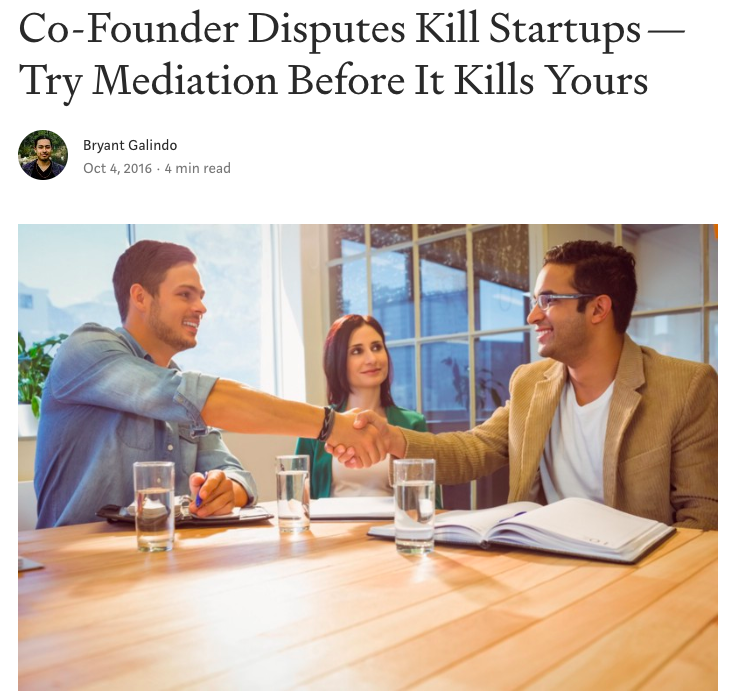 I am a mediator that specializes in resolving equity co-founder disputes. I have had the unique privilege of brokering deals between founders when the stakes are high, restructuring their equity when everyone felt there was no moving forward. I have found that no two conversations are ever the same, and it really comes down to the founder’s willingness to move forward together. For that reason I use a blended, collaborative form of mediation that empowers founders to come up with a decision that is fair and reasonable.